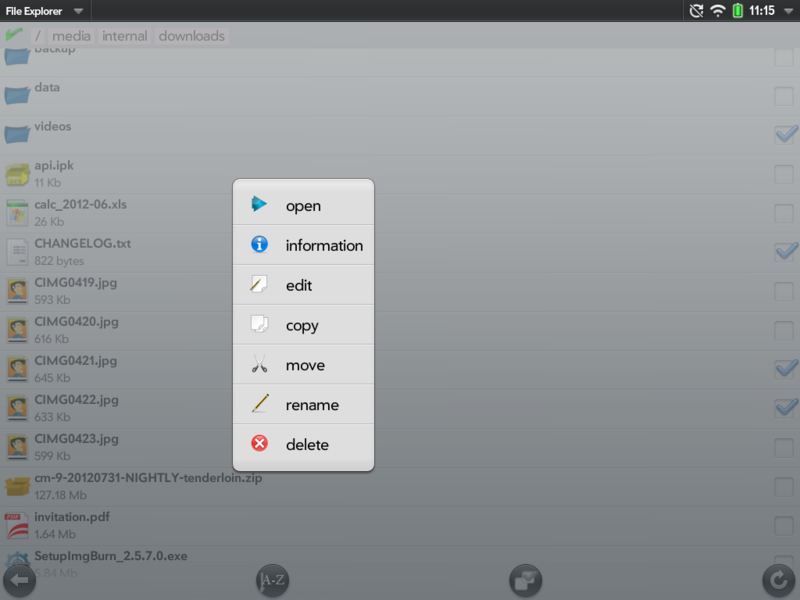 File Explorer is a fast and simple file manager for webOS phones and the TouchPad with some powerful features. Since v1.1.0 there's a plugin to enable full root access (webOS 3 only). You can now navigate to directories outside the USB partition.